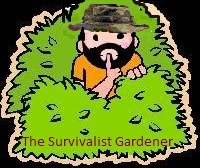 Welcome To The Secret Garden Of Survival! 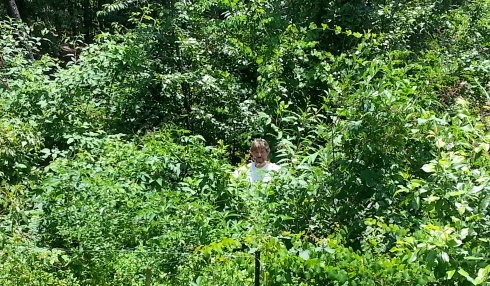 Rick Austin standing in his camouflaged food-forest, AKA: the Secret Garden of Survival. Which one will the zombie hordes attack? 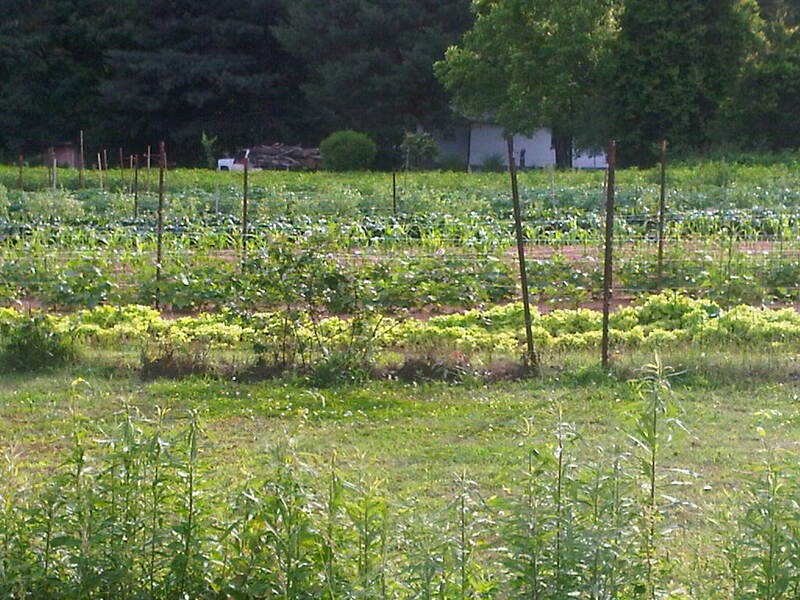 The answer is that they are both gardens, but the one on the right produces 5x more food per square foot than a traditional garden. 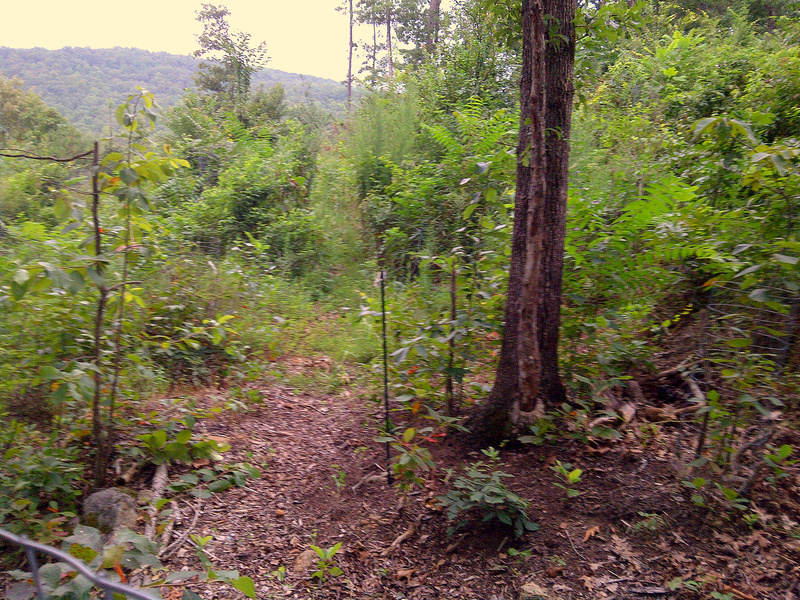 And it is disguised to look like overgrown underbrush so nobody knows you have any food growing there. 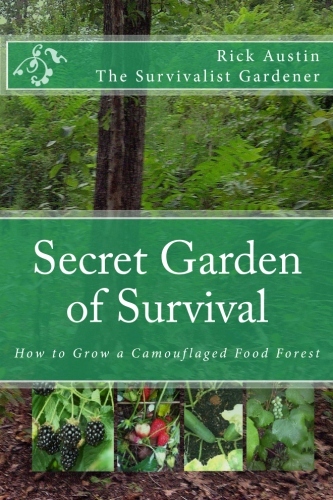 The book Secret Garden of Survival - How to Grow a Camouoflaged Food-Forest is a simple, straight-forward, step by step approach to creating your own secret garden of survival, on any size lot, in just one growing season. How to Grow a Camouflaged Food Forest. What are you going to eat when food stores run out? How do you keep others from taking it? Imagine a food garden that you only have to plant once in your life-time, that takes up very little space, that will provide food for you and your family for the next 30 years; that can grow five times more food per square foot than traditional or commercial gardening; and where you never have to weed, never have to use fertilizers and never have to use pesticide-- ever.— This book will show you how! 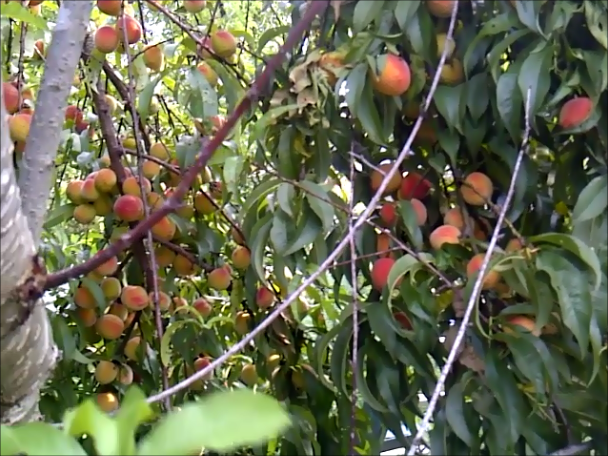 I picked got over 1000 peaches off of this one peach tree this year- without watering, fertilizer, pesticide or weedkiller. Rick Austin, and Survivor Jane- Garden of Eden? Or Garden of Evil? 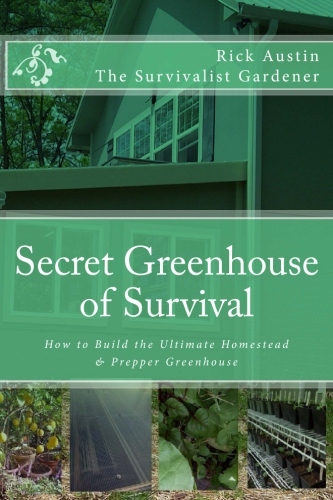 To see the full Doomsday Preppers episode featuring the Secret Garden of Survival on our "Secret Garden on TV and Film" page click here. To listen to my radio interviews: Click Here. Paperback and Kindle Version ($9.99). 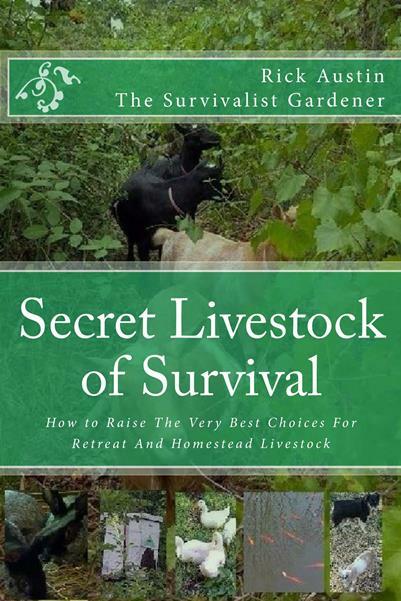 The Secret Garden of Survival(TM) and The Survivalist Gardener(TM), and the Survivalist Gardener avatar all are trademarks of Rick Austin & Aleven Goats Media, Inc.. This website and all it's contents are Copyright (C) 2012-2018, Rick Austin & Aleven Goats Media, Inc., All Rights Reserved.